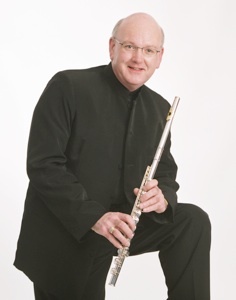 Colin Fleming, born in Ballyclare, Northern Ireland in 1957, began playing the flute at the age of seven. He joined the local town flute band during which time he was tutored by William Dunwoody in Belfast. At the age of sixteen he gained a place at the Royal Northern College of Music in Manchester where he studied under Trevor Wye. In his first year there he won a three-year scholarship to attend the Karajan Akademie in Berlin where his teachers were James Galway and Andreas Blau. As a member of the Akademie he undertook several tours in Germany, gave recitals in Berlin and made recordings for radio. He also participated in master classes given by Marcel Moyse, Jean-Pierre Rampal, Geoffrey Gilbert and William Bennett. 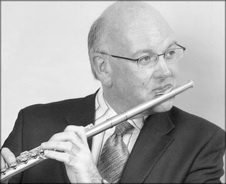 On completion of his studies he became Principal Flute with the Ulster Orchestra. He maintains an active interest in flute ensembles, arranging, editing and publishing music through Pyramid Music and regularly gives classes and conducts flute groups worldwide. Colin Fleming can be heard on over 50 commercial recordings with the Ulster Orchestra inlcuding 'In Ireland' Fantasy for Solo Flute, Harp and Orchestra by Sir Hamilton Harty. He currently plays a 24k Miyazawa flute.